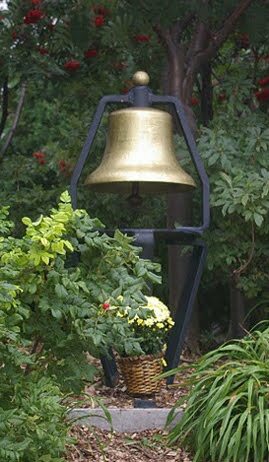 Common Gunsense A blog to advocate for sensible gun legislation: Happy New Year. Be safe with guns. Happy New Year. Be safe with guns. Happy New Year to all of my readers. I hope everyone stays safe and warm. Where I live the temperature is well below zero with a wind chill. It is really not fit for anyone to be outside celebrating the last day of 2013. Every year on this day, my friend Joe Jaskolka holds a press conference to ask new year's celebrators not to shoot guns into the air. He has already had the press conference this year but I don't yet have a link to it. I will update my post when I get the link. Every year, some folks think it's a good idea to shoot guns into the air in celebration of the new year. It's a stupid and dangerous idea. Joe knows this because he took a bullet to the head in a new year's celebration in 1998 when he was just 11 years old. As a result, he has suffered from life long disabilities, health problems and is in a wheelchair for the rest of his life. What goes up comes down. Please don't shoot guns into the air tonight. Innocent people could be in the bullet's trajectory. You can read more about his story here in the New Trajectory blog. 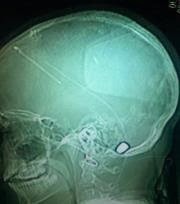 Included in that blog post is the picture of the x-ray showing the bullet still lodged in Joe's brain. I have Joe's permission to use it in my blog. You can see it to the left and above. Bullets do a lot of damage. So to continue with senseless shootings, today I am going to highlight a few more of the many I come across in my work as a gun violence prevention advocate. Joe Jaskolka is also an advocate for common sense measures to keep us safer from senseless shootings. What we are all about is preventing gun injuries and deaths like his and the many others that occur every day in America. Let's take a look at just one. Richard Manning, the 62-year-old man accused of killing Norman Gallman in the midst of a road rage dispute Tuesday, is a former Hamilton County sheriff's officer, an instructor of armed guards at a Chattanooga shooting range and a cancer patient. Manning was a corrections officer with the Hamilton County Sheriff's Office between 1977 and 1984. He is also a certified firearms instructor in Chattanooga. Amy Gregory, co-owner of The Shooter's Depot, said Manning has been instructing and qualifying future security officers and armed guards for years at the Shallowford Road facility, which is five miles from Manning's home. Gregory said Manning recently has been missing work because of health problems. He has been diagnosed with cancer, she said, and has been in poor health for a while, even needing oxygen at times. She also said Manning recently had surgery to have a tumor removed. And what does this mean ( from the article)? "If I had to guess -- the way I know Rick -- he felt his life was threatened," Gregory said. "It's a horrible situation all the way around," she said. But she said she doesn't believe a gun is the culprit. "I remain firm in my stance that there is no bad gun," she said. "A gun is just a tool." Almost a week after Norman Gallman was gunned down -- his fiancé Anna Caro is speaking out. "The other car comes from the opposite side, doesn’t stop, just keeps going, and cuts in front of us. So Alex (Norman) had to drive around to the other lane so he doesn't hit our car," says Anna Caro. The other car she's talking about was driven by 62-year-old Richard Manning. "Alex (Norman) wanted to make sure that this person had not hit our car. He was so close to us," says Caro. Then, Caro says her fiancé exchanged some words with Manning. "He came right out, went to the car and told the guy, ‘hey be careful, watch where you're going’. That's all he said. There was no anger," says Caro. That's when she says Manning shot Gallman and drove away. Police found Manning a few hours later and arrested him. Manning's relatives say he's had 2-heart attacks, bypass surgery; he has stomach cancer, and is in very poor medical condition. "It takes him a minute or two to even form his thoughts and this is from his diabetes, congestive heart failure and all of the medical issues he's had over the last 4-5 years," says Manning's son, Mark Manning. Manning currently teaches gun classes and is a former Hamilton County corrections officer. On the day of the shooting, Manning's family members say he was teaching a gun class. "He's a very sick man, and when he can get out and make some extra money, he'll do it," says Manning's niece, Carly Manning. Manning's attorney is considering whether this is a self-defense case. This does not seem like self defense to me. Time will tell how this will be resolved. But it sure sounds like a man whose judgement may have been impaired by health problems and shouldn't have had a gun with him. Was he more paranoid because of his weakened physical condition? Was his erratic driving the result of his health problems? Should he have been teaching classes to others about how to use a gun? I asked yesterday in my blog post about how those classes are taught and who teaches them. This case is tragic all the way around. A very sick man, by all accounts, now will be charged with killing another human being over something that should not have resulted in a death. Having a gun makes it all too easy. 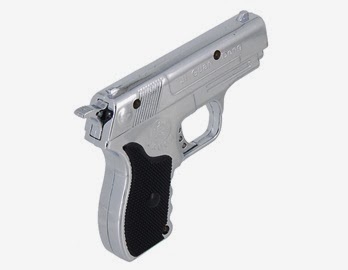 Hurst Police Assistant Chief Steve Niekamp said a shopper with a concealed handgun license brought the .22 caliber revolver into the store at 1400 Precinct Line Road. As he was leaving, the small gun fell out of his pocket without his knowledge. A store employee who found the gun thought it was a lighter and tested the trigger, shooting himself in the hand, Niekamp said. All were lucky that no one else was injured or killed, for that matter. And no charges have been filed? I guess it's OK by the law for concealed gun permit holders to irresponsibly drop their loaded guns in public causing injury to another human being. Yes, I know the employee picked it up. But if the gun had not been dropped, there wouldn't have been an injury in the first place. Guns in public places are clearly not making us safer. And yet, over and over again, I write about these incidents. And why would this employee mistake the gun for a lighter? Because there are lighters made to look like small handguns. Check this from fancycost.com. You can find these gun shaped lighters in lots of places. The image on the left is from the site I linked to (above). So my purpose in writing this post is to point out how often law abiding gun owners can be unsafe and irresponsible with their guns. Guns are dangerous. They are designed to kill and injure people. The Ohh Shoot blog writer points this out way too often. The latest entry on that blog involves an "accidental" gun discharge during a private gun sale transaction in Florida. You really can't make this stuff up. Common sense tells us that with more guns in homes and public places, there will inevitably be more accidents, more suicides and more homicides. That is not just my opinion. It is a fact. This story about suicides at this time of year and beyond points out how much easier it is for someone with a gun to commit suicide. These are avoidable and preventable deaths. Carrying a loaded gun in public is a responsibility that comes with the right. If the type of unintentional shootings that seem to be occurring on a more regular basis continue, we should be re-thinking and re-examining the laws that allow more people to carry more loaded guns into more public places. And that just makes common sense. Happy New Year. Have a safe night.